Thomas Chambers Hine: The Hine Hike! 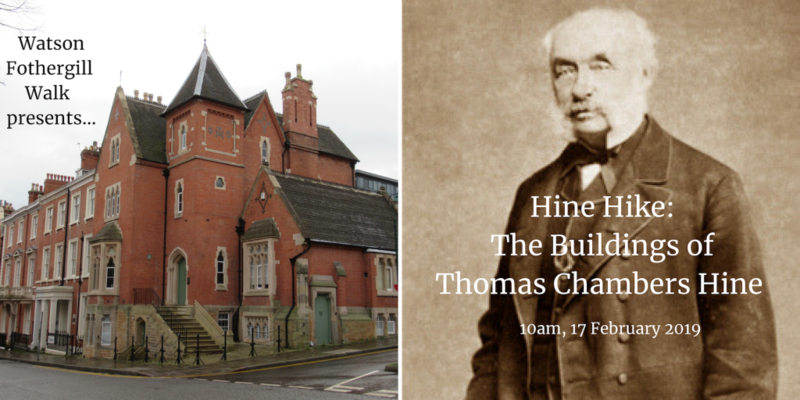 I am trying out a new walk exploring the architecture of Thomas Chambers Hine, the other big name behind some of the most impressive Victorian buildings in Nottingham. This first walk will be a “work in progress” and I’ll be looking for your feedback at the end of the route. Tickets are £10 but if you’re quick you can get a discount on tickets by using the code found in the mailing list email. I recently visited Cardiff Castle to see William Burges’ Clock Tower and the fantastical interiors he designed for the Marquess of Bute. 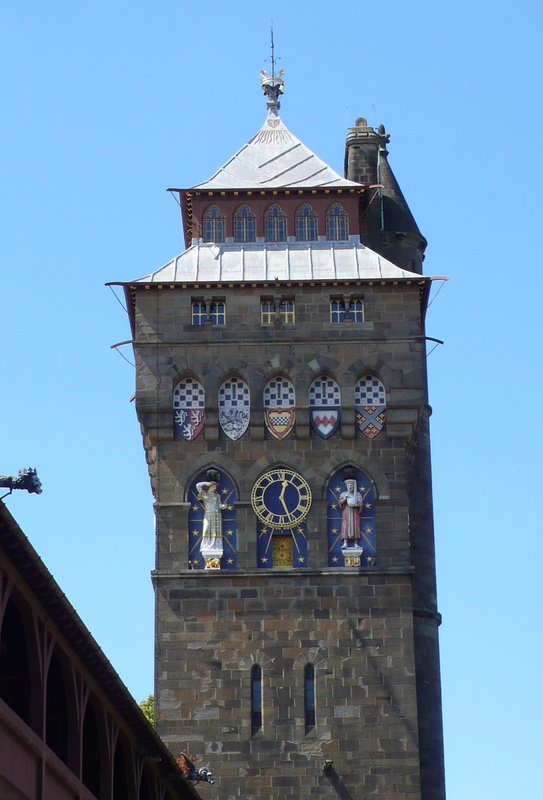 Exterior of the Clock Tower at Cardiff Castle. (Photo: Lucy Brouwer). William Burges (1827-1881) was one of Watson Fothergill’s great influences, his name and dates being one of those carved onto the front of Fothergill’s office in George Street. 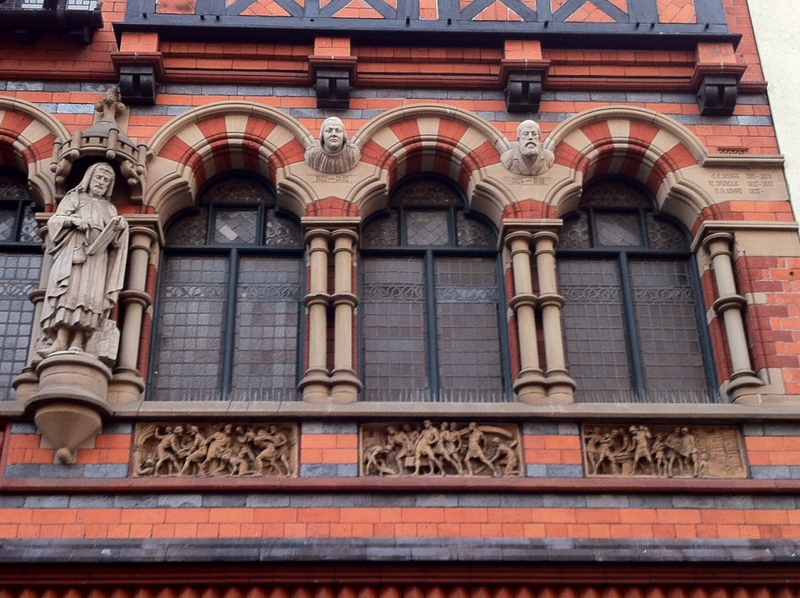 Watson Fothergill’s architectural heroes appear on the front of his office on George Street, Nottingham. The busts depict Augustus Welby Northmore Pugin and George Edmund Street. To the right: the names and dates of George Gilbert Scott, William Burges and Richard Norman Shaw. 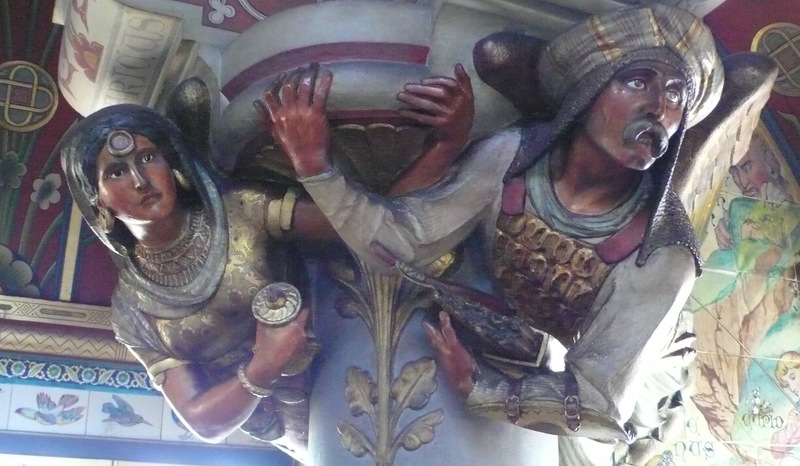 Fothergill himself is perhaps the inspiration for the medieval architect on the left. (Photo: Wikimedia Commons, Andrewrabbott). 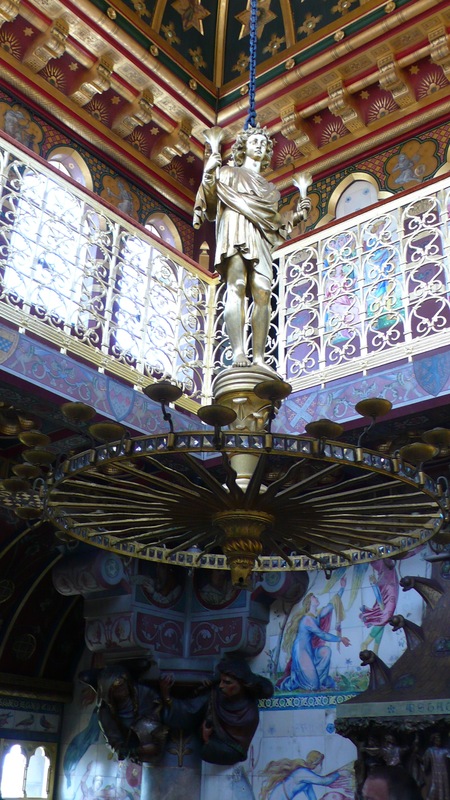 William Burges was perhaps the greatest of the Victorian “art-architects” who sort to re-establish the architectural and social values of a utopian Medieval England. His work stands as the apex of the Gothic Revival, along with the work of the Pre-Raphaelites and it heralds the Arts and Crafts movement. In Burges’ short but illustrious career, some of his most spectacular work was done for the “richest man in Victoria’s Empire”, the 3rd Marquess of Bute. In particular his Clock Tower at Cardiff Castle, and the lavish interiors that he produced in the tower and in the main building. 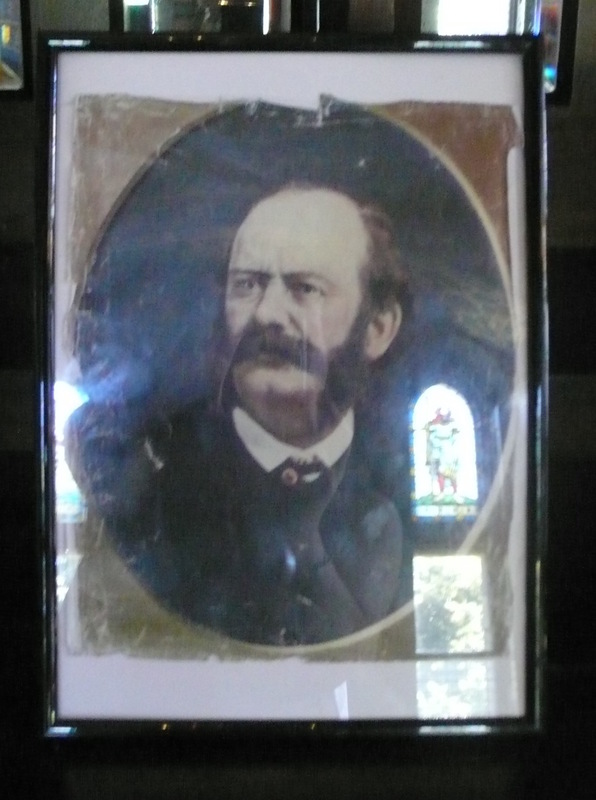 William Burges, photo portrait to be seen in the Winter Smoking Room of the Clock Tower, Cardiff Castle. “Ugly Burgess who makes beautiful things… isn’t he a duck,” wrote Gwendoline, Marchioness of Bute. Burges was an eccentric genius, with a wild imagination fueled by smoking opium. He produced architecture, furniture, jewellery and objects which Bute’s wealth was able to indulge on the highest level. The Clock Tower contains two smoking rooms, for winter and summer, all sumptuously decorated in rich colours. 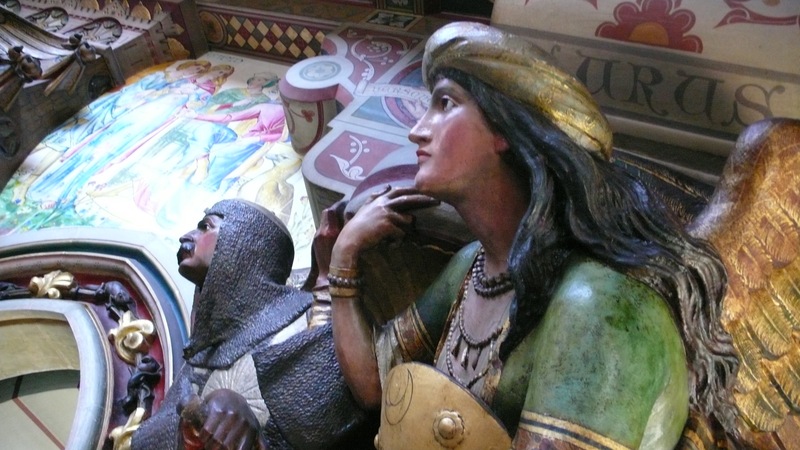 Figures of the Four Winds, Summer Smoking Room. Every inch is covered in details, Summer Smoking Room. See more of Burges’ work for Bute in this documentary on BBCiPlayer. 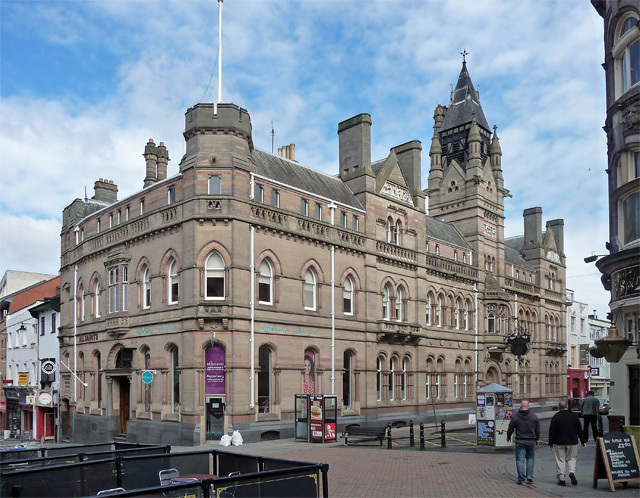 Burges’ influence on Fothergill can be seen in the animals and mythic creatures he attaches to his buildings, as well as the Gothic Revival flourishes that became part of his architectural style. 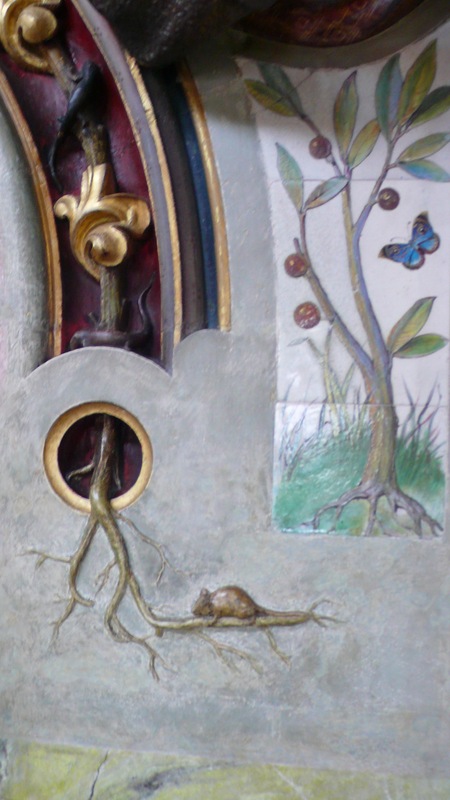 Learn more about Fothergill and the Gothic Revival on The Watson Fothergill Walk. Now booking on Eventbrite.